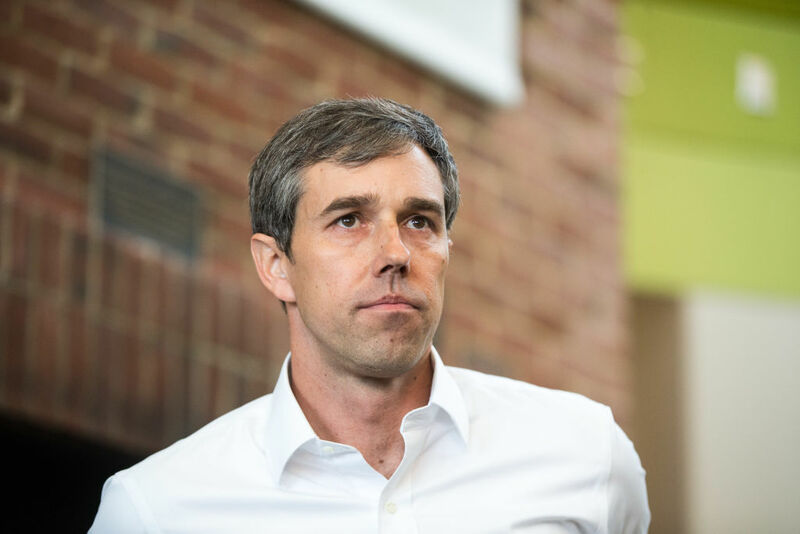 After flip-flopping on health reform for years, Beto O'Rourke claims his public-option bill is a path to Medicare for All. It isn't — the bill's means-tested approach will pit working people against each another, keep private insurance companies afloat, and stop M4A's momentum. O’Rourke claims that this bill presents a pathway to Medicare for All. In fact, it does not. O’Rourke’s Medicare for America proposal would throw a lifeline to private insurers, keeping them afloat (and raking in profits) while derailing the demand for Medicare for All that Sanders has helped make wildly popular. It’s instructive to directly compare Medicare for All with Medicare for America. Medicare for All is a simple concept. It would establish a single, public health insurance program that guarantees free, comprehensive care to all US residents. Under Medicare for All administrative costs are drastically reduced, no doctor is out of network, and the vast majority of households will pay far less for better coverage. Medicare for America, on the other hand, is a public option proposal that would enroll some Americans in a public plan while preserving private insurance for those who receive it from their employers. Rather than covering everyone equally under a single program, it will maintain varying qualities of coverage with price tags based on income. While Sanders’s proposal eliminates financial barriers to care, Medicare for America leaves them more or less in place. Medicare for America includes premiums of up to 10 percent of a person’s annual income and out-of-pocket maximums of $5,000. In a country where four in ten people don’t have the savings to cover a $400 emergency, these costs will either prove to be financially devastating or deter people from seeking needed care. The proposal’s proponents argue that allowing Americans to opt into public insurance will gradually chip away at private insurers’ clienteles until the vast majority of Americans — or even all Americans — are covered under the same public plan. O’Rourke claims that the public option will become “the program of choice.” But by allowing private insurers to compete with the public plan, Medicare for America ensures that care will remain unequal and segregated. This is why Medicare for America is not a pathway to single payer. Its multitiered and means-tested approach will inevitably pit working people against one another. Imagine a situation in which only poor and working-class Americans utilize the public plan, while wealthier people can afford better plans. This is a breeding ground for resentment, which can be mobilized towards defunding the public option. Once that happens, patients enrolled in it will experience shrinking coverage and higher costs. This will naturally lead to the growth of private supplemental plans and leave Medicare vulnerable to further privatization with the encouragement of a still-powerful private insurance lobby. (We see this already with costly Medicare Advantage plans.) If the public plan is as good as O’Rourke suggests, why not enroll everyone in it now? Optimism around the bill’s potential aside, O’Rourke and others argue that Medicare for America is more likely to garner the “buy-in” necessary to pass in Congress. “It responds to the fact that so many Americans have said, ‘I like my employer-based insurance. I want to keep it. I like the network I’m in. I like the doctor that I see,’” O’Rourke told the Texas Tribune. This conjured constituency of people happy with their private insurance plans is based on polls conducted by the Kaiser Family Foundation, which show that support for Medicare for All falls when the loss of current insurance is included in the question. What O’Rourke fails to mention, however, is that support rises when voters are told it would “guarantee health insurance as a right for all Americans” or “eliminate all health insurance premiums and reduce out-of-pocket health care costs for most Americans.” Furthermore, Medicare for All allows patients to see any doctor they’d like, without any network limitations. It’s understandable that people are protective of the insurance they currently have when the alternative is having no insurance at all — a very real and terrifying prospect for Americans. But Medicare for All takes care of that problem by guaranteeing high-quality coverage for life. Exploiting the fear of losing insurance with misinformation or sins of omission isn’t an honest way to campaign on watered-down, market-based alternatives, but it seems that is how O’Rourke will sell his. Once we dispel this fear, what’s left to like about private insurance? The costs continue to skyrocket while wages are stagnant and millions of Americans are denied treatment that their doctors prescribe. This is because private insurance is driven by one thing: profit. The only people who are truly happy with the status quo are the private-insurance executives rewarding themselves with millions of dollars in bonuses, the millionaires and billionaires who are spared the increased taxes needed to enact Medicare for All, and every employer who can wield access to care as a bargaining chip against their workers. The rest of us don’t love our private plans. We’re desperate for health care security. Medicare for All will give it to us. Beto’s Medicare for America won’t. Luke Thibault is an organizer with Democratic Socialists of America’s Medicare for All campaign. He lives in California’s East Bay.